It’s usually Theresa May and Jeremy Corbyn sparring across the chamber in the House of Commons and their party members being kept in check by the Speaker of the House. 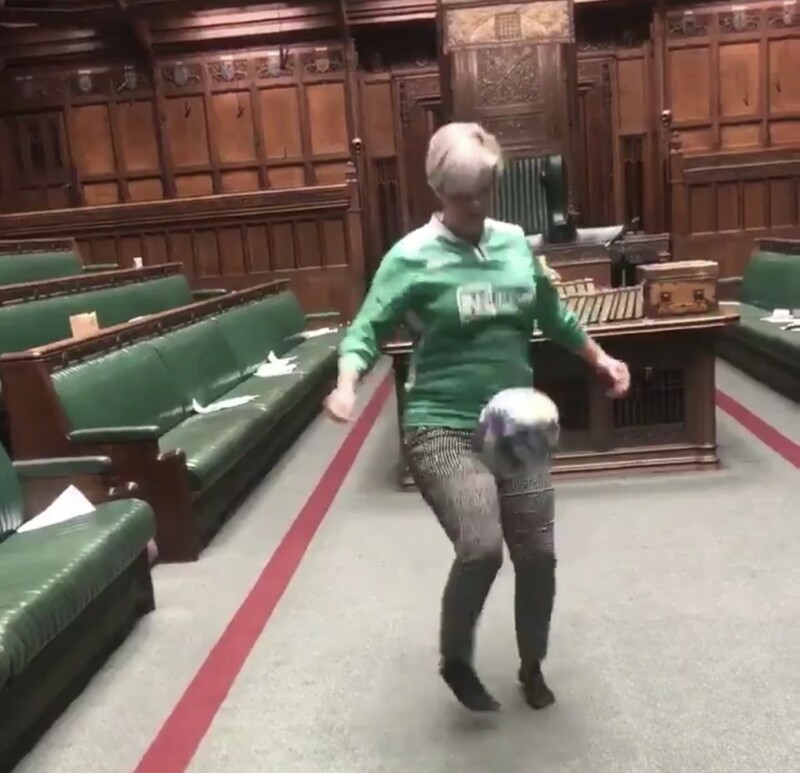 However on a Tuesday night in November a group of rebellious MPs were to be in for a telling off from the Speaker for, wait for it (well you probably know by now) playing footy in the famous chamber in the Palace of Westminster. Get more on the story from BBC News. 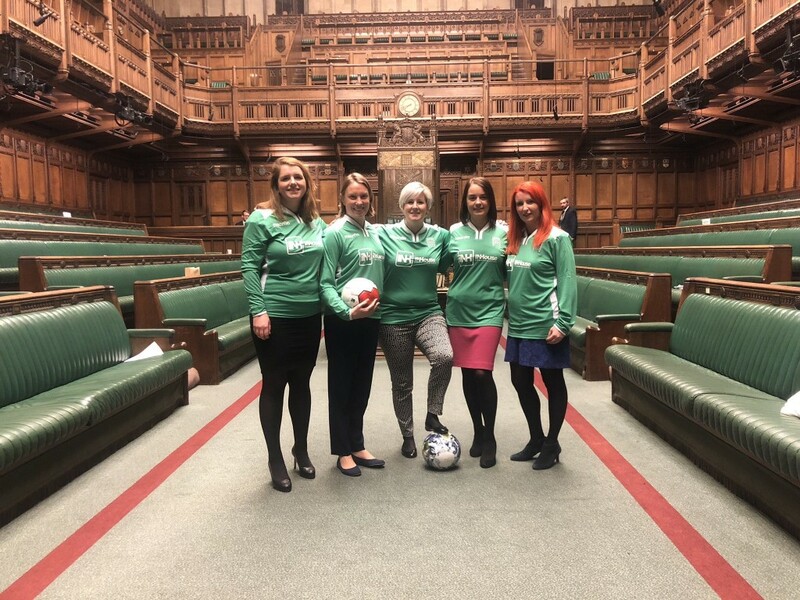 Five members of the parliamentary women’s football team (including former sports minister and FA qualified footy coach, Tracey Crouch) decided to have a bit of a keepy-uppy and kick-about in the Palace after their game that evening had been cancelled due to voting. 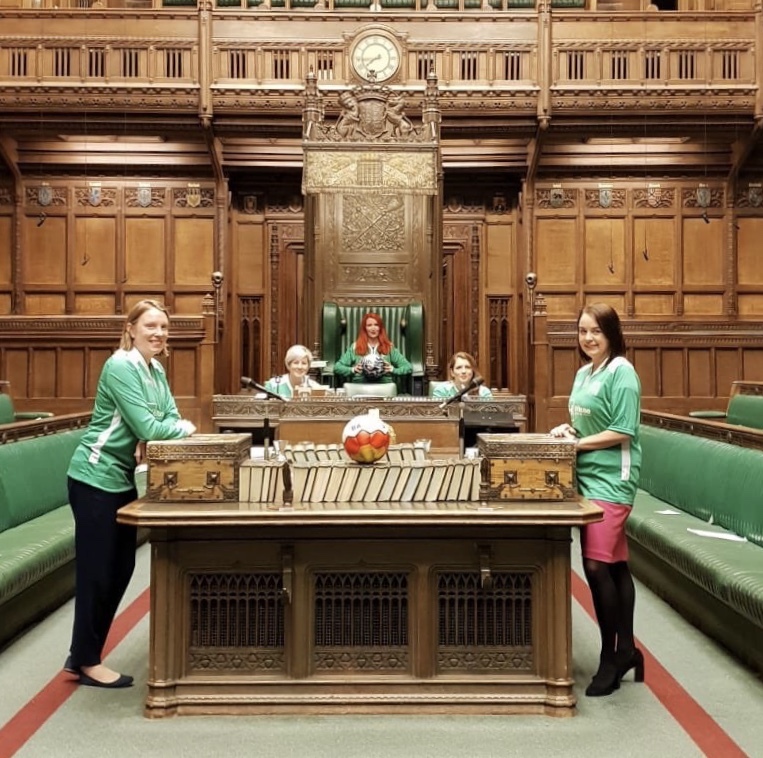 As they had their kit and balls with them they decided to make do with the space between the party benches. We’re delighted that the team are playing with the Bala Sport Team hand stitched ball. Hannah Bardell posted a video on twitter of her keep-uppy skills which was picked up by just about every news outlet, and let to the 5 getting a red card from the Speaker. Hannah Bardell chose what looks like another special ball to hone her skills. It seems to be a commemorative artwork ball from 14 – 18 Now and artist Mark Wallinger.